Our surgeons have performed tens of thousands of LASIK procedures including performing the surgery on each other. 94% of our patients see 20/20 or better following LASIK. LASIK is a refractive surgery that changes the shape of the cornea enabling a person to see without the use of glasses or contact lenses. The cornea is the part of the eye that focuses light to create an image on the retina. When light reaches a curved surface such as the cornea or the lens inside the eye, it bends. This bending of light is called refraction. More often than not, the shape of a person’s cornea is not perfect, which prohibits the light from focusing correctly on the retina. When this occurs, the eye will be near-sighted, far-sighted or astigmatic. These problems are called refractive errors. Drs. Beers and Liu of Mountain View specialize in eliminating these refractive errors, so you can see without using glasses or contact lenses. It is how they eliminate these errors that have led them to become widely recognized, with Dr. Beers even being named as one of “the best eye surgeons in the San Francisco Bay Area” by San Jose Magazine. Drs. Beers and Liu perform many types of refractive surgeries and are therefore able to custom tailor the perfect procedure for each individual patient. No two pairs of eyes are alike. The standard LASIK procedure performed by most doctors corrects “lower order aberrations” such as myopia, hyperopia and astigmatism. Although this may correct 90% of visual imperfections, 10% of visual imperfections are “higher order aberrations” that can cause problems such as halos, glare and poor night vision. Using the newest VISX Wavefront technology, Drs. Beers and Liu are able to correct both lower and higher aberrations, which result in the best vision and quality of life for you. Unlike other physicians who are limited to the standard LASIK procedure, Drs. Liu and Beers perform many types of refractive surgeries such as LASEK, Implantable Collamer Lens or Refractive Lens Exchange in their Mountain View office. Because every eye is unique, some people will have better vision results with an alternative procedure to LASIK. For example, patients with unusually thin corneas may have a better visual outcome with LASEK. A patient who has severe myopia (nearsightedness) should consider having an Implantable Collamer Lens (Visian ICL) inserted into the eye. And, for those who are terribly farsighted, Refractive Lens Exchange may be the best option. There are even choices within the Wavefront LASIK procedure. People reaching middle age, for instance, may prefer Monovision which eliminates the need for reading glasses. 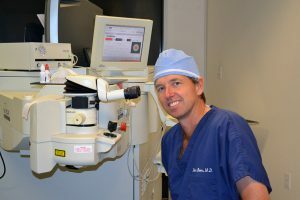 When considering LASIK, it is very important to find a surgeon who performs all of these refractive surgeries so you know you are receiving the best option available for your unique visual needs. The VISX STAR 4 IR Excimer Laser, which is used to correct refractive errors by altering the cornea’s curvature, is recognized as the most advanced and safest laser on the market. It works seamlessly with the Wavefront system to custom tailor the best vision for you. Many LASIK surgeons do nothing but LASIK. Drs. Liu and Beers do multiple procedures including LASIK, Multifocal lens implant surgery, contact lens implantation, cataract surgery and corneal transplants. It is very comforting to know that your LASIK surgeon will also be able to treat your cataracts as you get older. Our patients stay with us for life. Because Drs. Beers and Liu know your history, any future eye problems will be well taken care of. The LASIK procedure takes about 10 minutes and is relatively painless. The entire visit takes about one hour. Prior to LASIK eye surgery, most patients are given a small dose of Valium simply to help them relax. Drs. Beers or Liu will recheck your eyes and confirm measurements. To begin the procedure, you will first relax in a comfortable, reclining chair. The doctor will place a few numbing drops in your eye and will use a retainer to gently hold your eyelids open during the procedure. You then focus on a blinking light. The doctor then surgically lifts a thin corneal flap and the laser correction is performed. The treatment lasts approximately 30 to 60 seconds, after which the corneal flap is repositioned. Most patients then go home and sleep. Your doctor will call you at home that evening to check on you and answer any questions you may have. By the next day, patients can see clearly and can resume their normal activities. Although vision generally improves dramatically right away, it is normal for some patients to experience small vision changes during the first month. Typically, you will be scheduled for a follow-up appointment in our Mountain View office the next day and again in about a week. These appointments only take about 15 minutes and we pride ourselves on punctuality. To schedule a complimentary LASIK exam at our Mountain View office, call 650-961-2585 or contact us online. For more information about LASIK, please read our LASIK FAQs. "LASIK surgery was much easier than I expected. The result was almost instant! The next morning my vision was much improved and in two days I felt like nothing happened to me, except I didn't need glasses anymore. Thanks for the new look Dr. Beers!" "When making the decision to have LASIK surgery, it is important to have only the best and most competent physician and the most advanced equipment available for the procedure. That is why Dr. Beers did my surgery. They are the best and deliver the most expert care available today and their staff is professional, helpful, and responsive to their patients." "I am very pleased with my LASIK surgery. I now have 20/15 vision and I can read my putts on the golf course. I highly recommend Dr. Beers to my own patients." Request an appointment online by using our schedule form. © 2017. Peninsula Laser Eye Medical Group. 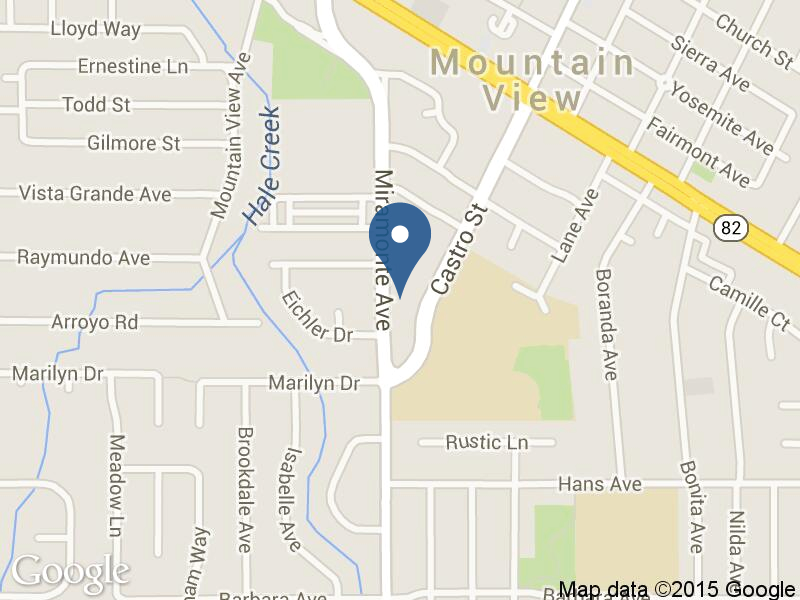 Mountain View Eye Surgeons. 1174 Castro St, Suite 100, Mountain View, CA 94040. All Rights Reserved.